Cool mornings, mountain scenery, friends around the fire, and rewarding work in a Christian environment – that’s volunteering and RVing at Snow Mountain Ranch (SMR). We’re Ernie and Sue Stones from Canyon Lake, TX, and we’ve volunteered at SMR for the past three summers. The first thought that comes to mind is the friendly atmosphere at the Ranch, from staff, volunteers, international students, and guests – everyone is terrific! 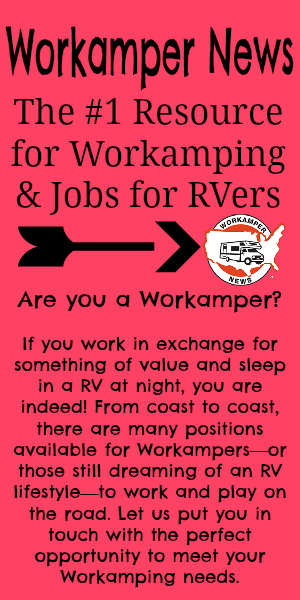 There is a wide variety of volunteer positions available. We’ve benefited from flexibility in volunteer assignments, with Ernie working in a different function each year. There is so much to do at the ranch and the surrounding area. Many of the guest activities at SMR are available to volunteers for free or for a reduced charge. And a volunteer activities coordinator keeps things hopping with trips, excursions, and on-campus fun and games. Very special to us is the open air church service at Columbine Point looking out at the Rocky Mountains – God’s own cathedral. The area has so much to offer – Rocky Mountain National Park, the Rocky Mountain Repertory Theater, numerous lakes and rivers, to name just a few. Nearby towns of Granby, Tabernash, Fraser, Winter Park, and Grand Lake offer entertainment and a full variety of restaurants. To sum it up – SMR is a great place to find rewarding work and also a place to thoroughly enjoy.